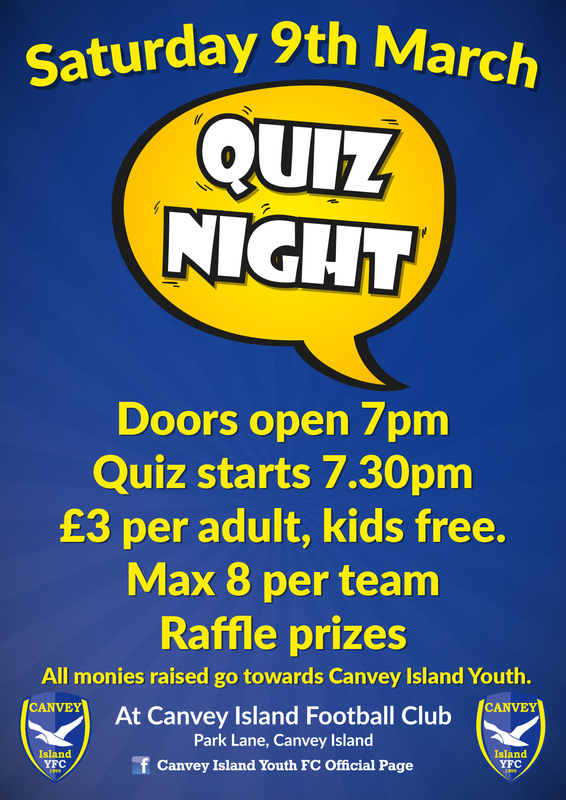 On Saturday 9th March, Canvey Island Youth FC will be holding a quiz night in the clubhouse. Doors open at 19:00 with the quiz starting promptly at 19:30. Teams can consist of a maximum of eight people, with a small charge of £3.00 per adult and free for kids. A raffle will also take place, with all money raised going Canvey Island Youth FC to help them continue the fantastic work they do in helping young people on the island to play football.